Using Promoted Listings, eBay sellers pay to get better search placement for their products within the eBay search results. On average eBay reports Promoted Listings receive a 30% increase in views compared to listings without Promoted Listings. 30% additional exposure for your products is amazing! That translates to more sales, and selling items faster. Now, what business owner doesn’t look to increase cash flow? 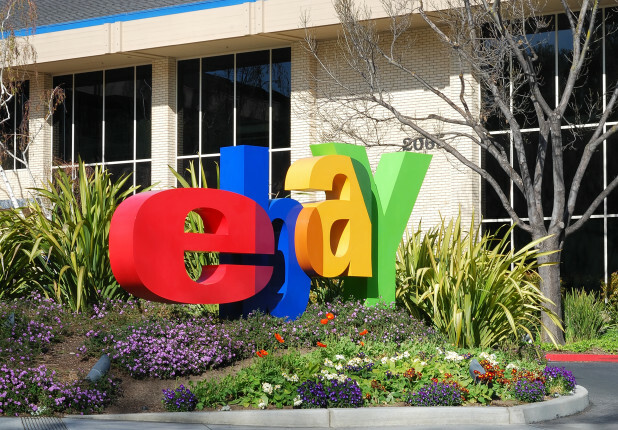 eBay boosts products in Promoted Listings on various eBay site locations. They include Best Match, shopping cart and the main product listings page. Do a few product searches on eBay and keep an eye out for the word “Sponsored” highlighted in the listing – that word is an indication that it’s a Promoted Listing. eBay is continuously rolling out more areas for Promoted Listings to be prominently shown. Right away, the exclusivity of the program makes it desirable. If only certain sellers can use it, it’s a clear benefit for the sellers who are eligible. In the enrolment process, sellers chose which of their fixed price listings they want to add Promoted Listings on. You do not need to promote all your listings. It is your choice. Due to the exclusivity of the program, it makes sense to include most if not all your inventory, as long as the pricing can support the additional cost. You’ll find the Promoted Listings section in the Marketing tab inside eBay’s Seller Hub. When you enter the section, the first step is to create a “Campaign.” A Campaign is a group of listings you will promote. You can put all your listings into one Campaign or break them out into small groups using multiple Campaigns. Since Promoted Listings will supply you with important data on sales, I suggest creating tightly niched Campaigns so you can get more actionable data. Once products are in a Campaign, you select your ad rate. This ad rate is a percentage of the products final sale price and can be as high as 100% of the product price or as low as 1%. Ad rates vary by product category, but are usually around 3-10%. To get included in the search results, eBay suggests a “trending rate.” Many sellers suggest going slightly higher than the “trending rate” to achieve success. Other sellers are fine going slightly under the trending rate. Test different rates and see what works best for you. Promoted Listing run on a pay per sale model. It is NOT pay per click. What this means is if a shopper sees your item through a promoted placement and clicks on it, you don’t pay any additional fee. You are charged ONLY if the shopper clicks through a Promoted Listing and buys the item from you within 30 days. Once your Campaigns are live and running you’ll have a Promoted Listing dashboard inside the eBay Seller Hub. This dashboard will alert you when you get a sale. Using your Promotions dashboard can spot which Campaign get sales and which do not. This is another reason to create Campaigns into small “niche” groups. If you use one big Campaign to track all of your sales, analyzing the results will be difficult. When creating a Promoted Listing campaign, it’s wise to pull out a calculator and look at your margins. That being said, paying eBay 3-10% to raise your product’s visibility in search can obviously be hugely beneficial. But if your margins are tight, Promoted Listings may not be for you. That extra 3-10% could be your profit. Remember, you can select any ad rate you want. Going slightly under the trend can work for you if you have tight margins. The ad rate is on the sale price of your item. Sales tax is not included. Neither are shipping charges if the shipping costs are separate from your item’s listed price. Often times, a seller will see an increase on all of their listings when using Promoted Listings. This occurs because shoppers can click to see other products you sell from the product that has the Promoted Listings. If a buyer clicks on a Promoted Listing and buys a different item from the seller, there are no additional advertising fees. Sellers only pay the Promoted Listing fee when a buyer clicks and buys the item in the Promoted Listing! So this means other listings can see a boost in traffic – a win-win for sellers! eBay is a competitive marketplace. In a recent eBay Radio show, Host Jim “Griff” Griffith said there are over one billion items on eBay. That’s a lot of listings! eBay’s Promoted Listings gives sellers a fast and easy way to make their products stand out in eBay search among those one billion products. And more eyeballs seeing your product listings translates into more sales. Bring on the sales!